Through the innocent gesture of inviting President Douglas Hyde to a soccer match between Poland and Ireland in 1938, Consul Dobrzyński—the first ever Polish diplomat to Ireland and otherwise a very popular and admired personality in 1930s Dublin—unwittingly caused chaos on the Irish political scene. Consul General Wacław Tadeusz Dobrzyński arrived in Dublin in 1929. From the moment he set foot on the Emerald Isle he became deeply infatuated with Ireland and her people. In total, he spent 33 years in Ireland, 25 of which were in diplomatic service, making him the longest-serving foreign diplomat in the history of the Irish state. Wacław Tadeusz Dobrzyński was born in Kiev (Ukraine) in 1883 into a wealthy family of Polish gentry whose roots can be traced back to Dobrzyń near Warsaw. He had qualified in musical composition and law in Kiev by 1907 and became a music critic and editor for Dziennik Kijowski (Kiev Daily). In 1915 he was called up by the Russian Army and served on the western German front; by 1916 he had been transferred to near Kharkov, where he witnessed the collapse of the Russian Army during the 1917 Bolshevik revolution. This led to his active involvement in the creation of a new Polish army, for which he was awarded the Merit Cross (Krzyż Zasługi) in 1918. As a result of the Great War, Poland had regained its independence after 123 years of occupation. In free Warsaw he rejoined his family, who had escaped via Constantinople, having lost all their wealth as a result of revolution and war. In 1919 Dobrzyński joined the newly established Polish Foreign Office, where his career advanced very rapidly. He married Janina Ochocka in 1920. That year he took a leave of absence to join the Polish Volunteer Army fighting the Bolsheviks in the victorious Battle of Warsaw in August 1920, for which he received yet another medal. Between 1922 and 1925 he was posted to the Polish legation in Tallinn (Estonia), first as envoy and later as ‘envoy extraordinary’. In 1929 he was offered a diplomatic posting once more and chose Ireland. Dobrzyński arrived in Dublin in April 1929 and opened a Polish consulate general at 33 Ailesbury Road. The Irish attitude towards Dobrzyński was overwhelmingly positive. He was respected as one of the first diplomats to arrive in the Irish Free State, and admired as a charming, sophisticated, unassuming, aristocratic gentleman who spoke six languages fluently, composed and played classical music, and was an author and traveller. He was also a decorated cavalry officer and, furthermore, a victim of the ‘godless’ Bolsheviks. Following his return to Ireland in 1931, Dobrzyński became Irish correspondent for Kurier Warszawski (Warsaw Daily) and the Polish News Agency, writing a fortnightly ‘Letter from Ireland’ and Irish biographies. Dobrzyński was very involved in assisting the Polish delegation for the Eucharistic Congress in Dublin in 1932, led by the primate of Poland, Cardinal A. Hlond. 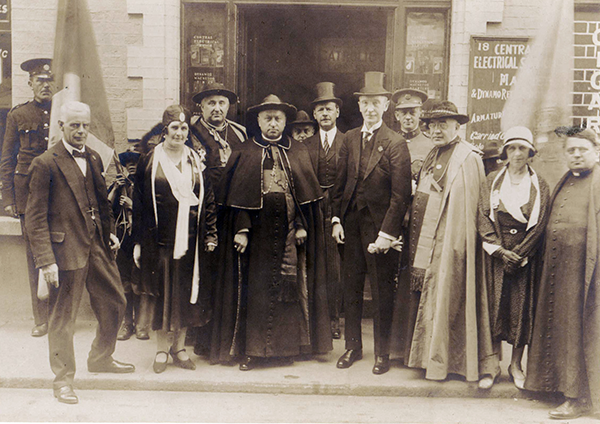 In May 1934 the Irish–Polish Society was inaugurated, with Lord Longford as its president. Dobrzyński travelled extensively around Ireland giving lectures on the history of Poland, as well as on the geopolitical problems faced by the world at the time. 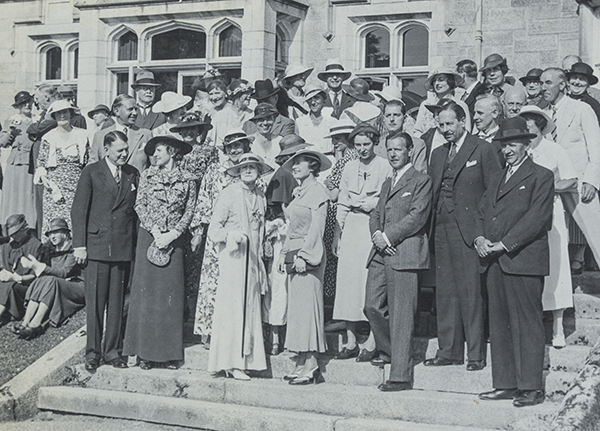 In May 1935 Raidió Éireann broadcast a programme on mutual links between Poland and Ireland, with the Polish consul general as the main speaker. He invited Ignacy Paderewski to Ireland for a concert in 1931, and in May 1935 he hosted a ‘Polish Music Hour’ broadcast by Raidió Éireann. He also organised various lectures in Ireland by prominent figures of the Polish political scene. During the war years Consul Dobrzyński organised annual musicals and artistic events that served as awareness-raising campaigns to inform the Irish public about the tragedy of occupied Poland. In 1941 he published Poland, lights and shadows of an ancient nation, a compilation of lectures and talks given to various societies and Raidió Éireann before and during the war. Published by Talbot Press, it ran to three editions between 1941 and 1943. 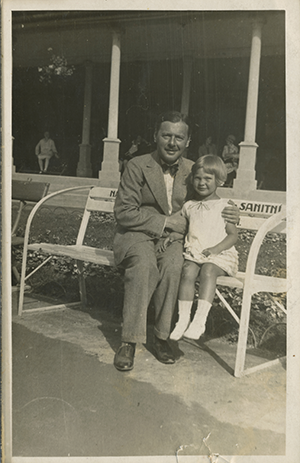 During the Second World War, in the absence of an actual government in occupied Poland, Consul Dobrzyński represented the Polish government-in-exile, formed in Paris in 1939 and based in London from 1940; it reinstated him as full consul general to Ireland. The first prime minister of the London Polish government-in-exile was General Władysław Sikorski, who was a role model of a statesman and military leader for Consul Dobrzyński. It was recognized by the Allied powers as the legitimate government of Poland until the Yalta Conference in 1945, which legitimised Stalin’s conquest of Eastern Europe (Poland included). As a result, the United Kingdom ceased to recognise the government-in-exile and switched its support to the newly formed Soviet-sponsored government in Poland. The future of the Polish government-in-exile, as well as the future of Consul General Dobrzyński in Ireland as its envoy, became very uncertain. The developments on the global political scene left Dobrzyński profoundly shocked. Being a true patriot, he simply couldn’t believe that the Allies effectively left the fate of Poland to the Soviets. Gradually, owing to his age and his decision to move away from Dublin, Dobrzyński’s role became more and more honorary. In 1950 the Dobrzyńskis purchased Landscape House, a small estate in County Clare, for visitors coming for fishing and hunting trips. They fell in love with the estate and the Irish country life in general. This idea, however, turned out to be a poor business decision and the family ended up losing all their savings in the investment. Finally, Dobrzyński decided to relinquish his duties in February 1954 at the age of 71, after 25 years of service. He was replaced by Zofia Zaleska until 1957, when the Irish government discontinued recognition of the government-in-exile, at which point the consulate was closed. It wasn’t until 1963 that Ireland accorded de jure recognition to the People’s Republic of Poland. In 1990 a Polish embassy was opened in Dublin. Despite the fact that he wasn’t entitled to an Irish pension (he was, after all, a Polish civil servant, and the then People’s Republic of Poland disowned him as an enemy of the state), in recognition of his services to Ireland the Irish government did indeed grant him such a pension. Wacław Tadeusz Dobrzyński died in February 1962, aged 77. His wife Janina died in 1974. They are buried in Greystones, Co. Wicklow, beside their old friends Maurice Goor, for 22 years Belgium’s representative in Ireland, and his wife Jeane. Ian Cantwell is a historian and archivist, and grandson of Wacław Tadeusz Dobrzyński. Nikola Sękowska-Moroney works in the Polish Embassy, Dublin. K. Dobrzyńska-Cantwell, An unusual diplomat—Dobrzyński biography (London, 1998).